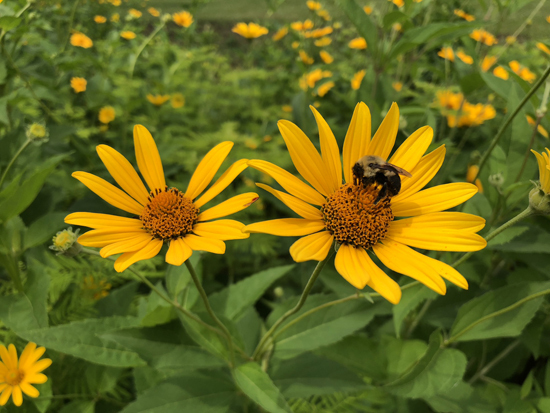 Jasper County Farm Bureau’s pollinator habitat idea grew in many directions, inspiring habitats large and small around the county. “We saw a need. There was a large amount of acreage in the city and no pollinator habitat,” explained Tony Trimble, Jasper County Farm Bureau manager. That need sprouted into a habitat test plot complete with informational signs. First, the county Farm Bureau decided to seed habitat in its lot next to the Farm Bureau office. 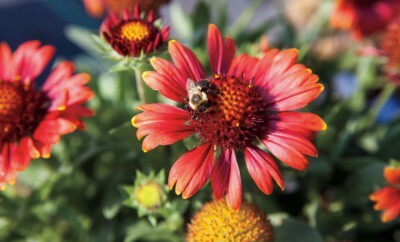 County Ag Literacy Coordinator Lindsey Vogt secured pollinator seed from GROWMARK. The county also obtained two pollinator seed mixes – one for lowlands and another for highlands – from the Jasper County Soil and Water Conservation District. This year, the county Farm Bureau added a habitat seed mix from Pheasants Forever and Quail Forever. Before the first seeds were planted, Trimble checked with city officials and learned about two potential hurdles – ordinances limiting vegetation height and banning milkweeds. He approached Newton Mayor Mark Bolander, who suggested the Farm Bureau manager bring the matter before the city council. Trimble explained the county Farm Bureau’s goal, the importance of pollinator habitat and the potential for monarch butterflies to be listed as a threatened or endangered species. City council members supported the habitat idea, and the county Farm Bureau legally cleared the ordinance hurdles. “It’s just common sense. We all have to do our part to save our earth,” the mayor said. He credited the Farm Bureau for approaching city officials and creating awareness of pollinator issues. In two years, pollinators and their habitats have taken off in Newton and elsewhere in Jasper County. The county Farm Bureau sells packets of habitat seed and even sponsored Facebook contests with pollinator seed as the prize. Seed sales proved popular with city and country residents. “We showed people you can put in your own habitats,” Trimble said. Last week, Vogt used the habitat plot to teach several lessons and activities related to pollinators to a group of girls ages 6 to 11. 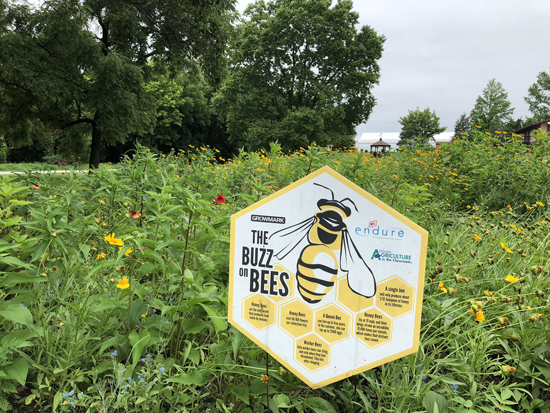 In the country, several Jasper County Farm Bureau Board members have planted pollinator habitats, and one is incorporating pollinator seed mix into his grassed waterway, Trimble noted. The Farm Bureau manager added he even tilled part of his yard and seeded pollinator habitat. 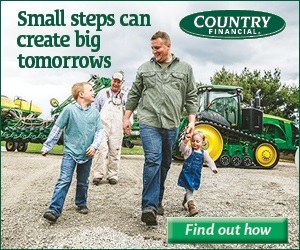 The county Farm Bureau’s success proves wide-ranging results can sprout from tiny seeds. County Farm Bureaus planting pollinator habitat, taking other actions or working with partners to support monarch butterflies and other pollinators should report their efforts. 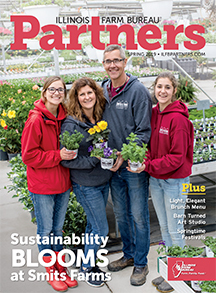 Lyndsey Ramsey, Illinois Farm Bureau associate director of natural and environmental resources, is gathering information about actions by agriculture to support monarchs and other pollinators. Ramsey, along with other ag associations in the state, is drafting the agriculture chapter of Illinois’ monarch action plan. Action plan information will bolster the state’s case that enough efforts are being made to prevent monarchs from being listed as a threatened or endangered species.